Dotto, L. and Schiff, H. I., The ozone war, Doubleday, Garden City, New York, 1978. Graedel, T. E. and Crutzen, P.J., Atmosphere, climate and change. Scientific American Library, 1995. Gribbin, J., The hole in the sky, Corgi Books, London, 1988. Ozonskiktet, Faktablad från Naturvårdsverket, Februari 1992. Rodhe, H. och Bolin, B., Luftföroreningar, I Tidens miljöbok - En forskarantologi, Tidens förlag, 1992. Rowland, F. S. and Molina, M. J., Ozone depletion: 20 years after the alarm, Chemical and Engineering News 72, 8-13, 1994. Scientific assessment of ozone depletion 1994, WMO Report 37, World Meteorological Organization and United Nations Environment Programme, Geneva, 1995. Toon, O. B. and Turco, R. P., Polar stratospheric clouds and ozone depletion, Scientific American 264, 68-74, 1991. Wayne, R. P. Chemistry of Atmospheres, Oxford Science Publications, 1993. WMO and the ozone issue, World Meteorological Organization, Report 778, 1992. Paul Crutzen was born in 1933 in Amsterdam. Dutch citizen. Doctor's degree in meteorology, Stockholm University, 1973. Member of the Royal Swedish Academy of Sciences, the Royal Swedish Academy of Engineering Sciences and Academia Europaea. 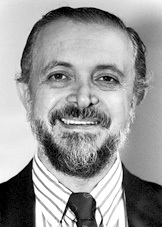 Mario Molina was born in 1943 in Mexico City, Mexico. PhD in physical chemistry, University of California, Berkeley. Member of the US National Academy of Sciences. 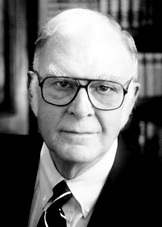 F. Sherwood Rowland was born in Delaware, Ohio, USA, 1927. Doctor's degree in chemistry, University of Chicago, 1952. Member of the American Academy of Arts and Sciences and of the US National Academy of Sciences, where he is currently Foreign Secretary.